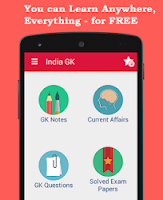 5, 6 January 2018 Current Affairs MCQs, Quiz, Questions: Current Affairs for January 2018, Daily Multiple Choice Questions (MCQs) for India GK, World GK and current affairs with Collection of daily objective type Question by www.Indiagk.net based on General Knowledge (GK) and General Science (GS) Questions for UPSC, State PSC, SSC, Police exam, Railway exam, SBI, Bank PO, IBPC, SSC, LDC, UDC, Army, Airforce, Navy, Coast Guard, Bank Clerk, TET and all entrance examination with current affairs News, Multiple Choice Questions (MCQs) available on Website www.IndiaGK.net and Android Apps with daily updates:. RBI has initiated PCA against Allahabad Bank over its high bad loans. What does “PCA” stands for? Which country becomes 1st to legalise equal pay? Which becomes first state to launch High Risk Pregnancy portal? Which state to host the 39th National Games in 2022? Lalu Prasad Yadav gets 3.5 years jail in fodder scam case. He is from which party? Who launches logo of Khelo India? Explanation: Minister of State for Youth Affairs and Sports (I/C) and Information & Broadcasting, Col. Rajyavardhan Singh Rathore at the launch of the Khelo India logo, at the Jawaharlal Nehru Stadium, in New Delhi on January 05, 2018. The logo also conveys an impression of fitness and competitiveness. The three-stroke Khelo India logo, designed by Ogilvy India, has in-built modularity, allowing plenty of adaptability and flexibility into endless pictorial forms.